Born in 1896, in Massachusetts, James Spencer Love was the son of James Lee Love, class of 1881, and Julia Spencer Love, daughter of Cornelia Phillips Spencer. A graduate of Harvard and its business school, Love served in France during World War I and moved to North Carolina in 1919 to enter the family’s textile business. In 1923, he founded Burlington Industries, and through acquisitions, diversification, and shrewd product selection, he built it into the largest textile firm in the world. 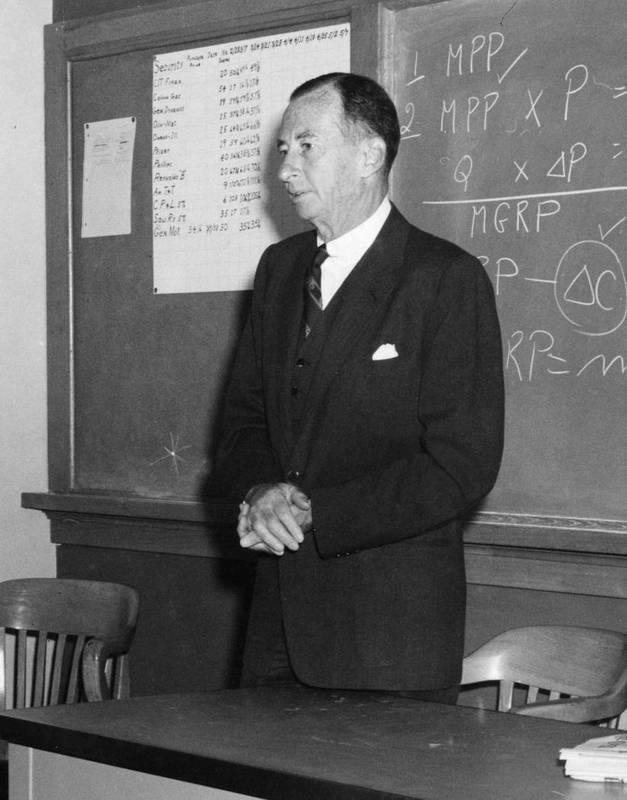 He served on the university’s board of trustees from 1947 until his death in 1962. In 1941, he made a gift to the Institute of Government that was crucial to its survival and to its integration into the university. After his death, his company, Burlington Industries, made a donation to the hospital, at the time the largest gift the university had ever received from a corporation. The public clinics at the hospital are named in his honor.